Ethernet over Copper (EoC) technology has been available to the Australian data market since 2007, it is capable of delivering symmetric data services of speeds up to 80Mbps - a significant speed increase over traditional ADSL data networks. Ethernet over Copper (EoC) delivers much greater stability of speed in comparison to its lower grade alternative EFM (Ethernet First Mile). EoC is the same technology used in SHDSL and other services that use multiple copper pairs to deliver a symmetric data service. Ethernet over Copper delivers high speed connectivity from the Node or the Exchange which in turn is linked to the backbone data network via Fibre. This allows companies to achieve a great speed of connectivity to the core data network without the traditional high implementation costs of the a Fibre Data Network. EoC is widely available in Australia and can be identified as an option by com2 Communications using feasibility tests to ensure your location is capable of receiving an Ethernet over Copper service. WHAT ARE THE BENEFITS OF ETHERNET OVER COPPER? IS ETHERNET OVER COPPER GOOD FOR CLOUD ACCESS? 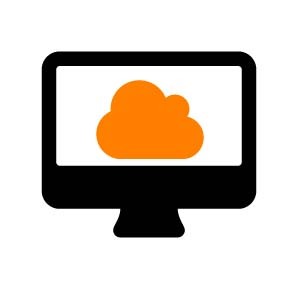 EoC is perfect for cloud applications due to its symmetric speed profile. This means that data travels the same speed for upload and download, delivering significant performance improvement when using cloud services such as Google Docs, Xero, Office 365, Infrastructure as a Service (IaaS), Desktop as a Service (DaaS) or any one of the many hosted services in the market place today. It also makes surfing the internet a much faster and smoother experience. All of these benefits mean that your users are saving time, which assists in improving business efficiency and productivity and makes the ROI on data service such as EoC a very quick return. EoC is also very resilient due to its core make-up. It uses “bundled” copper which means it uses up to 8 pairs of copper to deliver the service. The resiliency comes from the ability for the service to have 1 set of copper drop off but still maintain the service across the remaining coppers. Our service monitoring will see this happen, often before our clients do, so we can then jump into action to repair or restore the service to its maximum capacity. HOW FAST & WHAT SPEED IS EoC? Ethernet over Copper (EoC) services range in speed from 2Mbps/2Mbps to 80Mbps/80Mbps depending on numerous factors. Most of customers opt for a 10/10 service or a 20/20 service for larger offices. Talk to our team to understand how fast a connection to your business can be! CAN WE GET EoC FOR OUR BUSINESS? More than likely! If you have ADSL access you can normally get EoC. We need to check the exchange and cable quality and make sure there is enough copper available to deliver the service, so give us a call on 1300 887 495 or request a call and our team of data specialists will give you a call to discuss! !